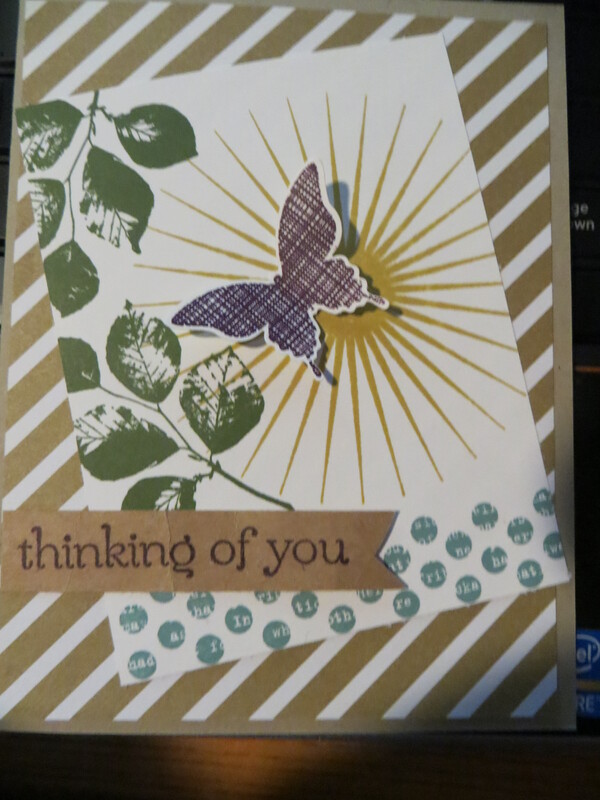 Today’s card is an absolutely adorable card that Cammie made me for Mother’s Day but I am just getting around to posting it. The Sweet Laughter stamp set from Stampin Up is no longer available but the card layout can be reworked to incorporate another stampset. The monochromatic squares are done using the 1 1/4″ and the 1″ square punches nested inside one another. The focal panel has a faux hand drawn brick wall and the measuring cup is stamped with Stazon on a Window sheet and then hand cut out. 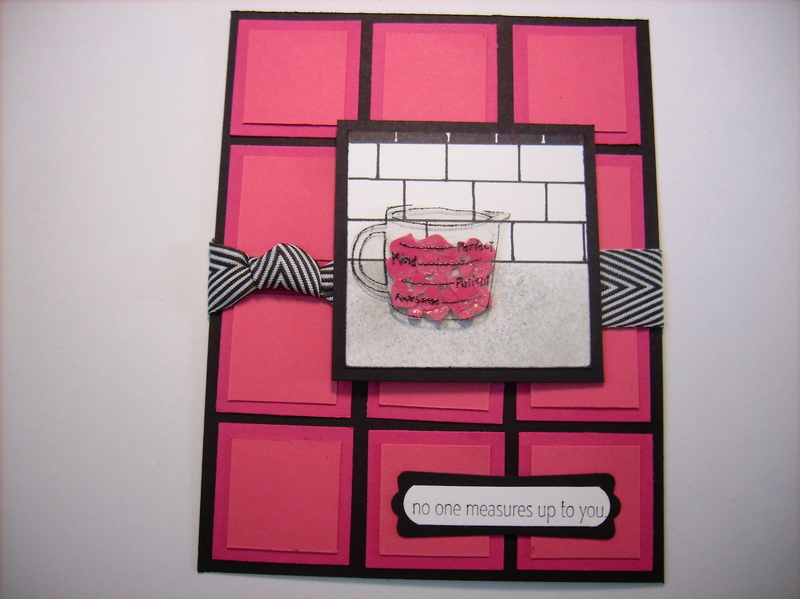 The measuring cup is filled with little hearts from the Stampin Up Hearts Border Punch #133784. The sweet sentiment is from the Sweet Laughter set and then punched out using the Word Window #119857 punch and then placed on the Modern Label (no longer available). Cammie added the Black and White Chevron ribbon behind the panel to add a contemporary look. Happy Mother’s Day to all our blog followers that are mothers. My mother’s day card features the Kinda Ecclectic #135347 stamp set. The name of this stamp set kinda says it all. There’s a little of everything here, but they all work together for some unique layering and depth to your projects. I layered my eclectic panel on top of a piece of the soon to be retiring Lullaby DSP #133695 and a sentiment from the now retired Stampin Up Sweet Essentials stamp set hand cut into a banner.